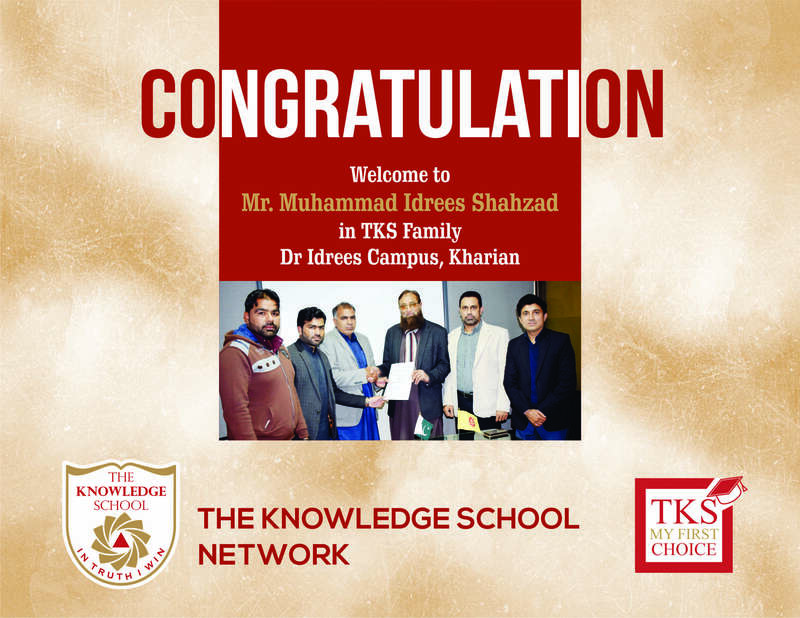 The Knowledge School Network has successfully signed an agreement with Mr. Muhammad Idrees Shahzad for establishing a TKS franchise under the name of “Dr Idress Campus” on 8th January, 2019 at "Kharian" District Gujrat Pakistan. The ceremony was presided by Country Director Brig. (R) Shahid Akram Kardar in the presence of senior TKS Head office officials, Muhammad Jawad Siddiqi Operations Head, Mr. Imran Ellahi- Manager Accounts, and Mr. Tauseef Anwar Sales & Marketing Associate. TKS would also like to congratulate our new Network Associates on signing Agreement and becoming a part of TKS family. We welcome you to our fastest growing network of Pakistan.